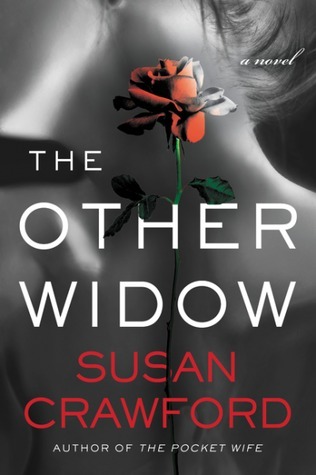 The author of The Pocket Wife explores the dark side of love, marriage, and infidelity in this sizzling novel of psychological suspense. Everybody’s luck runs out. This time it could be theirs . . . It isn’t safe. That’s what Joe tells her when he ends their affair—moments before their car skids off an icy road in a blinding snowstorm and hits a tree. Desperate to keep her life intact—her job, her husband, and her precious daughter, Lily—Dorrie will do everything she can to protect herself, even if it means walking away from the wreckage. Dorrie has always been a good actress, pretending to be someone else: the dutiful daughter, the satisfied wife, the woman who can handle anything. Now she’s going to put on the most challenging performance of her life. But details about the accident leave her feeling uneasy and afraid. Why didn’t Joe’s airbag work? Why was his car door open before the EMTs arrived? And now suddenly someone is calling her from her dead lover’s burner phone. . . .
Joe’s death has left his wife in free fall as well. Karen knew Joe was cheating—she found some suspicious e-mails. Trying to cope with grief is devastating enough without the constant fear that has overtaken her—this feeling she can’t shake that someone is watching her. And with Joe gone and the kids grown, she’s vulnerable . . . and on her own. Insurance investigator Maggie Devlin is suspicious of the latest claim that’s landed on her desk—a man dying on an icy road shortly after buying a lucrative life insurance policy. Maggie doesn’t believe in coincidences. The former cop knows that things—and people—are never what they seem to be. As the fates of these three women become more tightly entwined, layers of lies and deception begin to peel away, pushing them dangerously to the edge . . . closer to each other . . . to a terrifying truth . . . to a shocking end.